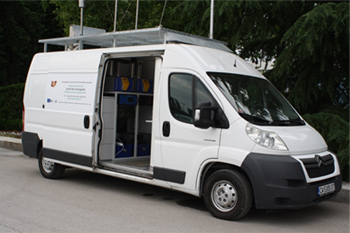 At this year’s edition of the Smart Cities exhibition, a mobile laboratory for measuring parameters of the air quality will be presented. It is a part of an innovative center for research, analysis, observation and modelling of the urban air quality, energy consumption and GHG emissions. The center is a joint venture of the Association of the Bulgarian Energy Agencies and the Energy Agency of Plovdiv. It is the first center of such scope and magnitude on the Balkans as it uses the latest ICT and software technologies for comprehensive analysis of the air quality in the field. The Center is established to support national and local authorities in the development and integration of integrated policies in the field of energy consumption reduction, air pollution and GHG reduction. 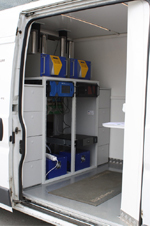 The Center has a mobile laboratory that could be positioned in different locations to measure a variety of air quality parameters – particulate matter, nitrogen oxides and meteorological data. The output information could be used as a proof of dangerously high levels of air pollution and modelling emergency cases and scenarios of evacuation. Additionally, the Center has equipment to measure and control emissions from heating installations. The Center is using the most widely spread and functional system for analysis and forecast of the air quality – Airviro. It stores and processes data, does dispersion modelling and provides information in real time. Airviro allows for evaluation of measures and supports local authorities in decision making on economic and social aspects of the air quality and climate change phenomena. The team of the center has developed strategies and action plans for aiq pollution reduction for major Bulgarian cities – Plovdiv, Shumen, Vidin, Smolyan and has modelled the air quality for Bourgas municipality.